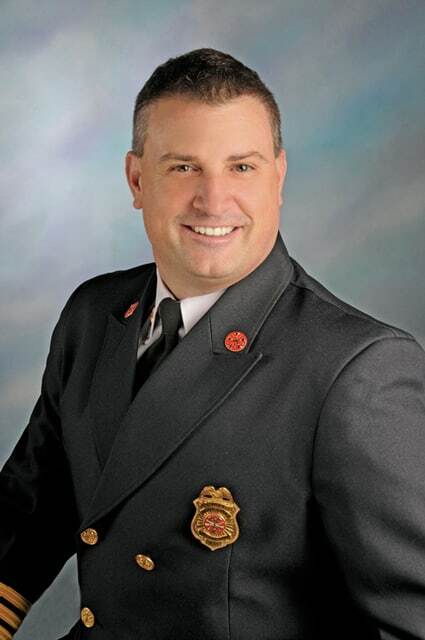 Bradley George, chief of the Paint Creek Joint/EMS Fire District, has been placed on administrative leave. Dan Mathews, president of the Paint Creek fire board, confirmed the action Thursday to The Times-Gazette. George has been chief of the Paint Creek district since its formation five years ago after budget woes at both the Greenfield Fire Department and Greenfield Area Life Squad Inc. led to a ballot issue creating a district that merged the two entities. The original Paint Creek district included the city of Greenfield and Madison Township in Highland County, along with Buckskin and Paint townships in Ross County. Today, the district includes that territory along with the Highland County townships of Paint, Liberty, New Market, Washington and Jackson. Beginning in 2014, the district began providing fire and EMS coverage to the city of Hillsboro on a contractual basis. Earlier this year, the district also began providing fire-only coverage for a portion of Perry Township in Fayette County through a contractual agreement. George had served 18 years with the Greenfield Fire Department before leaving in October of 2007 to work for the state fire marshal’s office. When voters approved the formation of the fire district in 2009, he returned home to serve as Paint Creek’s chief beginning January 2010. George could not immediately be reached for comment Thursday.